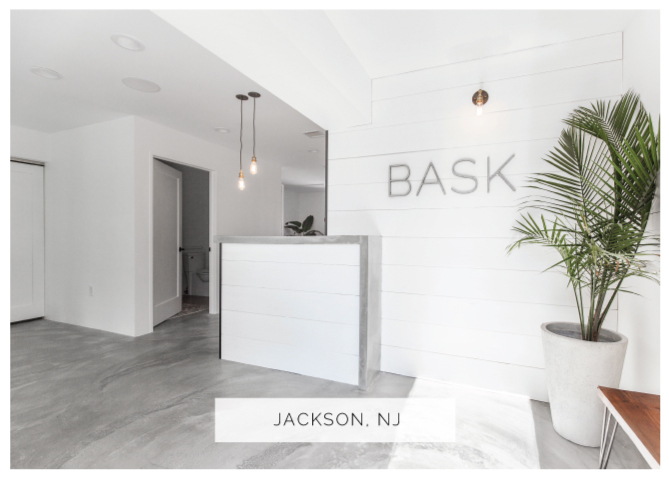 Bask Hot Yoga studios are centrally located in Jackson and Brick New Jersey. 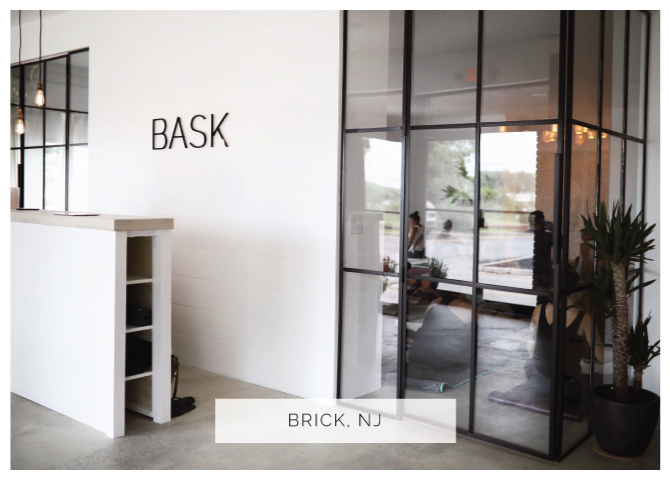 Bask was designed with each student in mind to provide an experience not found at any other studio. A minimalist aesthetic coupled with unique architectural elements create a space that allows your mind to rest and be at ease. Located on Brewers Bridge Road in a red brick building. Coming east from County Line Road you will turn right on Brewers Bridge Road and it is the building after the Wells Fargo Bank. Parking is available in the front and rear of the building. Located on Rt 88 in between Jack Martin Blvd and Van Zile Rd across the street from the plaza of where the former K-Mart and now soon to be At Home is located. The plaza is called Laurel Heights Plaza and is a brick building with parking.